Linda Bertino, RN, MSN of Rainbow Consultants is the provider of this unique program. Are you tired of reading a dull, narrative paper? Then, give this a try while supporting a nurse with a disability. The program is presented in an easy to follow PowerPoint format. It can be completed in the comfort of your home. Email: Linda at rainbeaus@live.com. Cost of the online program is $20.00 (two contact hours). Identify accommodations for a student with hearing loss. Describe accommodations for a student who uses a wheelchair. List accommodations for a nursing student with vision loss. Identify resources (organizations, equipment, and technology) that can assist students with disabilities. Develop a plan for a nursing student with a disability from student to practicing nurse. ExceptionalNurse.com has been accredited as a provider of continuing education in nursing by the State of California Board of Registered Nursing, BRN provider number 14352, for 4.5 contact hours. A full refund will be made only if all course materials are returned in satisfactory condition within 30 days. This program is based on the experiences of a nursing faculty member who worked with two nursing students with significant hearing losses. Both students received accommodations and went on to graduate and work as nurses. The program is offered for 1.5 contact hours. If you are interested in receiving credit for this program, you will need to complete the post test. Please email to request the post test and send a check for $12.00 to ExceptionalNurse.com at 13019 Coastal Circle, Palm Beach Gardens, Florida 33410 (Include your name, address, telephone, course title and email address). We are important really, and the details of our lives are worthy of being recorded. Natalie Goldberg, Writing Down The Bones. This is an interactive workshop. Throughout the session you will be encouraged to do some simple writing assignments. To participate, it is important that you have a journal, a pen and some stickers. Stickers help us to tap into our inner child. And that is the part of us that loves to receive rewards for doing special assignments. Stickers are a fun way to reach and honor our inner child. No matter how old we are, it feels good to give ourselves these rewards. So, give yourself another one. 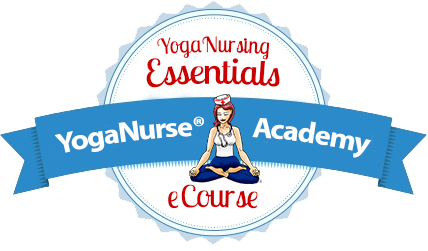 To receive nursing continuing education credit for this course, you will need to send a check for $32.00 to ExceptionalNurse.com at 13019 Coastal Circle, Palm Beach Gardens, Florida 33410. (Include your name, address, telephone, course title and email address).